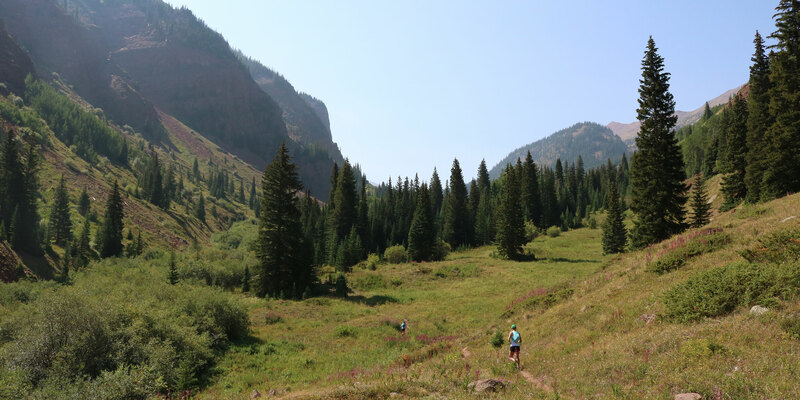 • Situated in the dramatic mountains of Snowmass, Colorado, the Trail Runner Summer Running Camp welcomes every level of runner. • Renowned athletes and coaches David and Megan Roche offer top-of-the-line, comprehensive guidance for runners both on and off of the trail. • Each day, enjoy an engaging morning coaching session, followed by a long run—occasionally topping 12,000 feet with world-class views. • Relax in the afternoon sun and finish the day with a debrief and coaching session over dinner. Mingle with Trail Runner staff for runs, meals and coaching sessions. 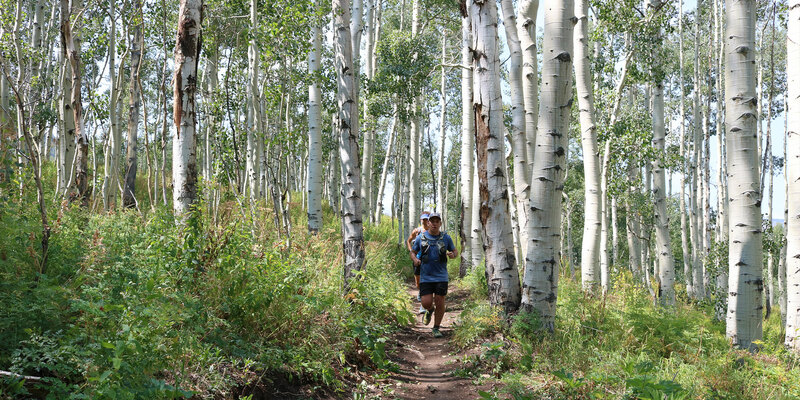 Runners in one of many Aspen tunnels. 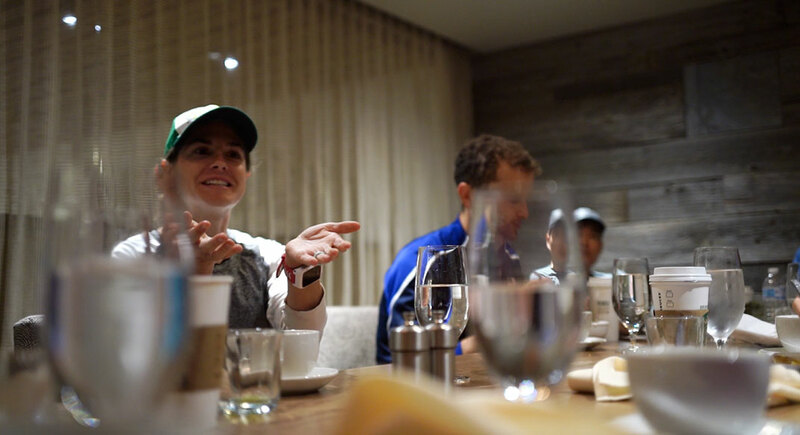 *Each morning over breakfast, we'll engage in important discussions on topics such as nutrition, how to keep your mental game strong, goal setting, and how to realize your ultimate happiness as a runner. Arrive in Snowmass, Colorado, meet and greet at The Westin Resort. Meet the coaches and staff members of Trail Runner magazine. We'll do a short evening acclimatization hike, and an introduction to trail-running principles with David and Megan. Practice climbing and descending over all types of terrain. 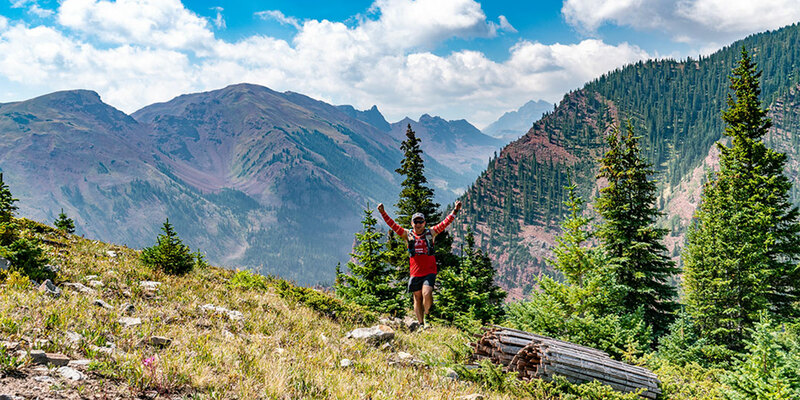 Learn the tactics of some of the top trail runners in the world, and how to employ them. We'll break down the building blocks of training, along with a relaxed all-abilities workout to put techniques to work. We'll also cover how to design your own training plan for performance and enduring happiness. A discussion about the importance of mental and physical health along with specific techniques runners can use for long-term love of the sport. NOTE: Mornings will involve runs of varying lengths, followed by a midday break of a couple hours to recharge. Afternoons will be entail more casual trail time with discussions along the way. Julie Pendley and Christine Eisenhower getting cruise-y. 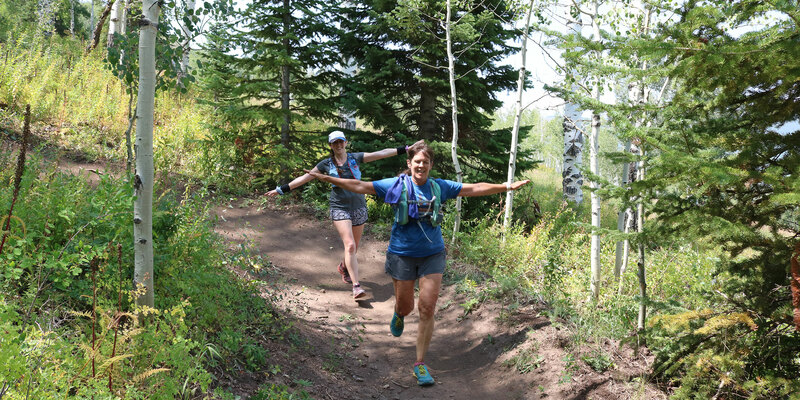 TESTIMONIAL: Being a back-of-the-pack runner, I was looking for coaching but not sure if a trail camp was the right fit for me. 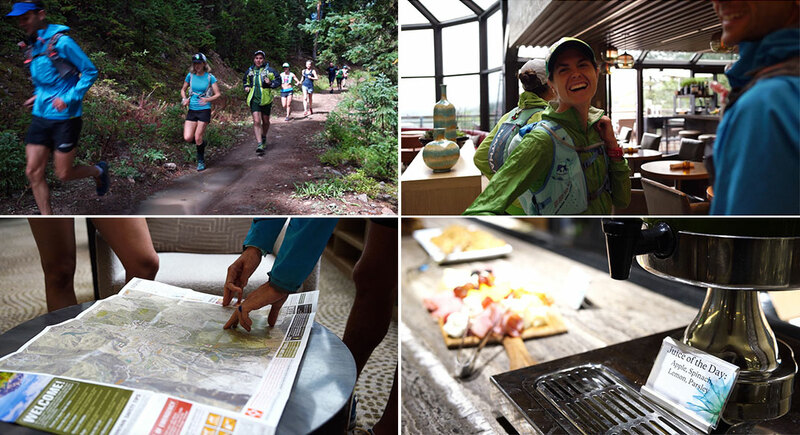 Trail Runner magazine assembled the most incredible experience I could’ve imagined. The stellar coaches, the accommodations, the personal consideration and communication gave me the perfect trip. I gained confidence from the coaches and Trail Runner magazine staff along with life-long friendships among the campers. I encourage anyone who values the time they spend running to sign up for an experience they will never forget! • One-year subscription to Trail Runner magazine. • A copy of the Roche's new book, "Happy Runner". Megan Roche keeps things fun and engaging during a breakfast coaching session. Megan and David Roche are the coaches of the Some Work, All Play (SWAP) team, where they coach runners of all ability levels. 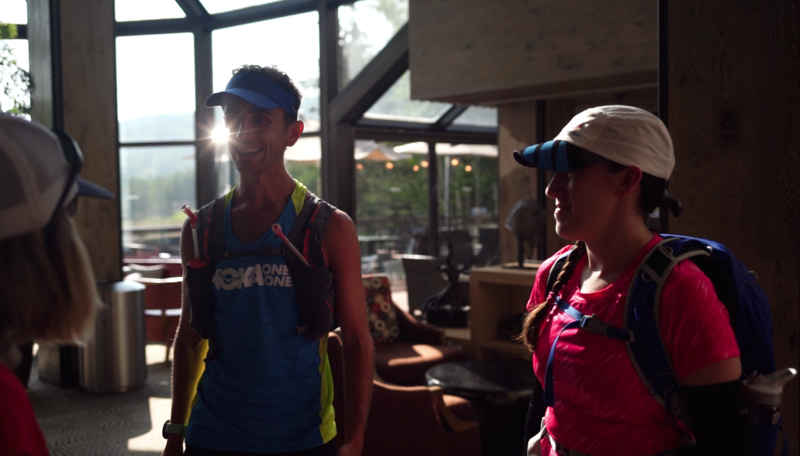 The SWAP team includes some of the top trail runners in the world, including winners of the Western States 100, Hardrock 100, Bear 100, CCC, Way Too Cool 50K and Lake Sonoma 50 Mile. They are writers for Trail Runner magazine and accomplished runners, too. Megan is a doctor and David is a former attorney—together they bring a tremendous amount of valuable knowledge. When they aren't coaching or writing, they play on the trails around Boulder, Colorado with their dog Addie. Megan and David will cover a gamut of trail-running topics, including proper form and technique, training principles, race tactics, nutrition and injury treatment and prevention. David is a two-time national champion, three-time member of Team USA and 2014 USATF sub-ultra Trail Runner of the Year. He graduated from Columbia University with a degree in Environmental Science and received a master's degree and law degree from Duke University. Megan is a four-time national trail-running champion, a six-time member of Team USA and 2016 USATF Trail and Ultrarunner of the Year. She graduated from Duke University with a degree in Neuroscience and received her medical degree from Stanford University. David Roche preps the group for the day's running plan in the beautiful lobby of the Westin. The deck at the Westin Hotel on a winter evening. Days are spent in the field with our coaches David and Megan Roche. 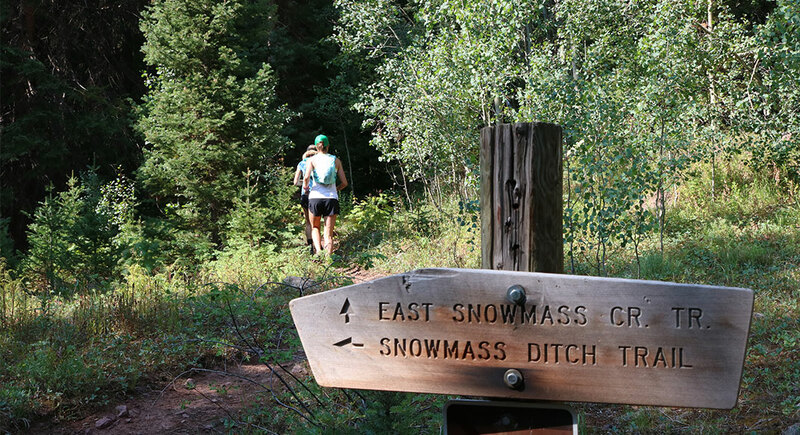 On the fantastic trails of Snowmass, Colorado, they provide expert instruction on technique, training, fueling and race strategy as well as trail guidance. The goal is to improve your running in a fun, supportive environment. Neither expertise in trail running or racing is required, only an enthusiasm for trail running and a willingness to take yourself to the next level. Paid enrollment is limited to 12 students to maintain a low student-to-instructor ratio. Apparel and gear suitable for mountain conditions, including hydration system and lightweight raingear. Snowmass is located on Colorado's Western Slope. 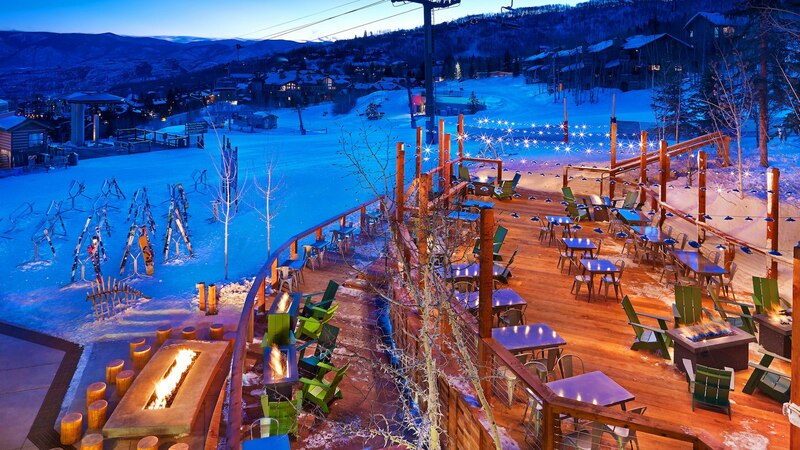 You may fly into the nearby Aspen airport, which is only a 15-minute shuttle, taxi or bus ride from Snowmass. Other options are to fly into Grand Junction (2-hour drive) or Denver (3.5-hour drive) and rent a car. A King guest room at the Westin Hotel. TESTIMONIAL: I signed up for the 2018 camp with no experience running at altitude or on mountainous terrain. Up until that time, my longest trail run was 8 miles and I averaged 20 miles per week of trail/road running. My personal goals for the camp were to become more comfortable with running at higher elevation and with longer trail runs. I have a fear of heights in exposed areas and on narrow trails, and the coaches at the Trail Runner magazine camp, as well as my fellow campers, were encouraging and accommodating to help me work on overcoming this. I really enjoyed the variety in the routes each day and the general camaraderie among everyone at the camp. The Aspen-Snowmass area was breathtaking. I highly recommend this camp to anyone interested in trail running, no matter your level of experience! 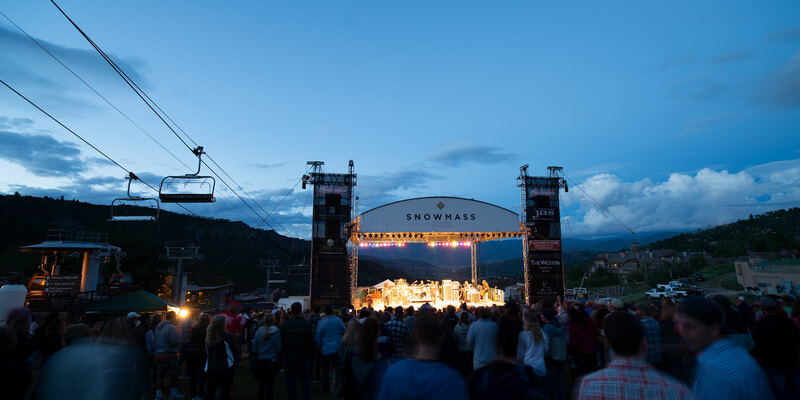 Come early to Snowmass to enjoy Independence Day events at the resort. 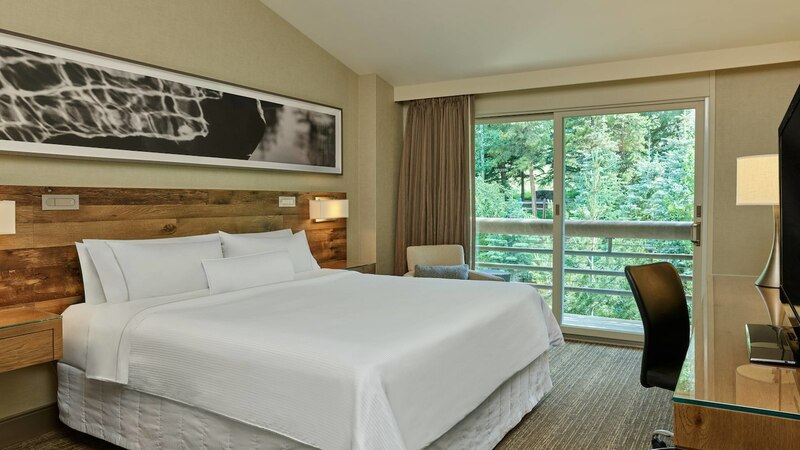 The Westin at Snowmass features luxurious rooms, summertime events (including Fourth of July fireworks for those interested in arriving early), an afternoon happy hour, a fantastic restaurant, excellent customer service and trails right out the door. 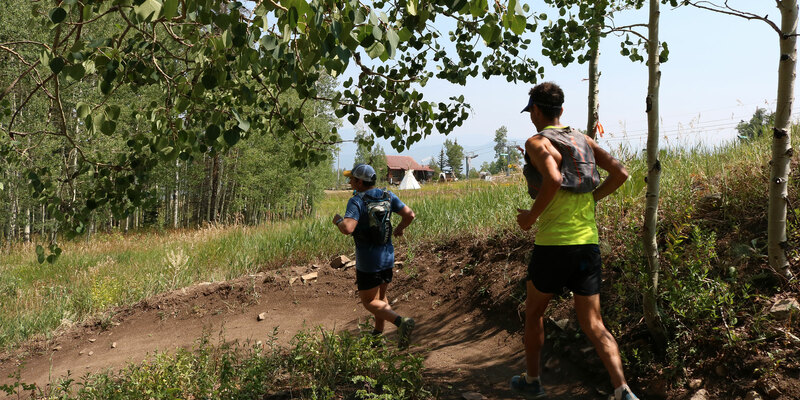 Is the trail running camp in Snowmass, Co on July 5-8, 2019 currently open for registration? I am trying to figure out if the registration is now open so that I can pay a deposit and reserve my spot. Just finished reading “The Happy Runner” and loved it and would recommend the book to anyone interested in the running process and puppies! Since my wife and I have retired earlier this year we simply don’t have the available finances to cover the cost for the two of us to attend the camp. But I do wish you well as I am sure the camp will be top notch. Again thanks for the book.